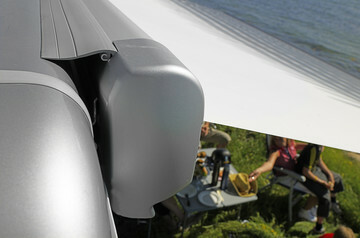 Thule van awnings are designed with you and your campervan in mind. Simply choose your ideal type, cassette colour, fabric finish and features! Provides coverage from the elements while tent is open or closed. 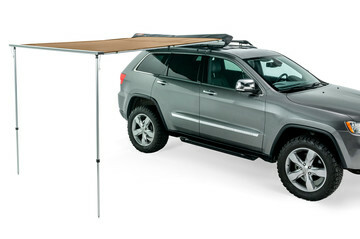 A lightweight awning that mounts to roof racks with adapter (sold separately). The light weight, aerodynamic awning designed to integrate perfectly into the roofline of popular camper vans with adapter (sold separately). A lightweight wall mount awning that mounts to flat, vertical surfaces. Flat mount brackets included. Specific adapters available for popular camper vans. 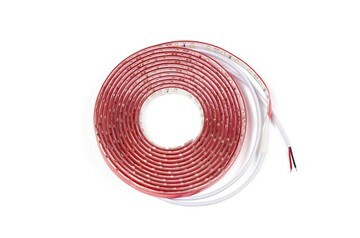 Flexible and long lasting LED strip to offer strong lighting. 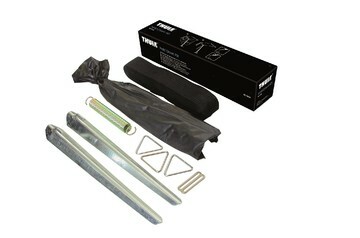 A rubber that ensures that the gap between the vehicle and the wall awning is sealed when using a flat adapter. Reinforce your awning, even in high wind. Flexible and long lasting LED strip to offer strong sideways lighting. 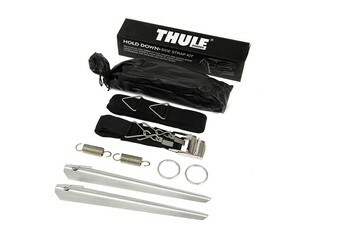 This profile covers the adapters and is provided with a channel to slide a Thule tent or the Thule organizers in. 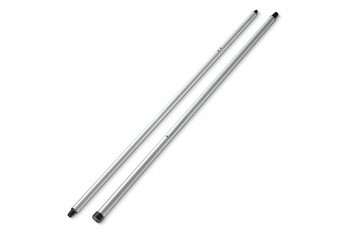 For the installation of LED lights on roof awnings Thule Omnistor 6300/6200/9200. Helps prevent damage to the awning due to high winds or storms. 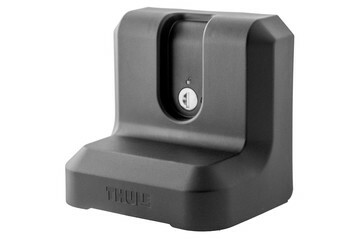 Exclusively designed adapter for attaching Thule HideAway Awning. Campervan awnings are most often installed on the vehicle wall. You can be sure to fit a Thule awning to your van, thanks to our large range of adapters developed together with, and approved by, van manufacturers. A roof-mounted awning is a great choice if there is a lack of space or a width restriction – and it looks good too! Installed on top of your van, it comes with an adapter for specific models of the most popular vans. Choose a manual awning with a telescopic hand crank for easy opening. Thanks to the Thule Quick Release system, the support legs can be released on demand to prevent them from falling during the set-up. All support legs are dropped vertically to reduce the risk of damaging your vehicle. 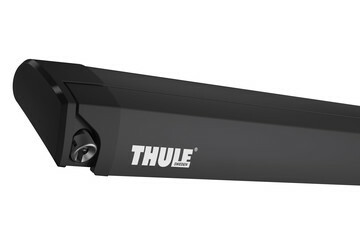 Easily adjust the legs to the right height with the user-friendly Thule Quick Lock system. 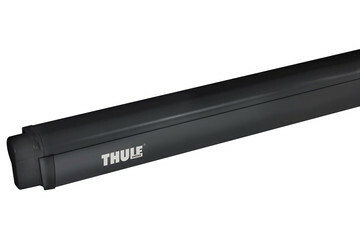 Thule awnings are equipped with sturdy tension arms combined with an innovative roller tube support. This not only creates a perfectly tensioned awning fabric but also increases resistance to wind for safer usage. Depending on the awning type, lengths from 4.00m and more are supplied with an integrated tensioning system as standard or an extra tension rafter to keep the fabric even tighter. All our van awnings are tested in various weather conditions for optimal stability. Thule awnings have a timeless design that perfectly matches your vehicle type. And depending on the awning you select, you have the choice of different cassette finishes: anodised, white, anthracite or cream. 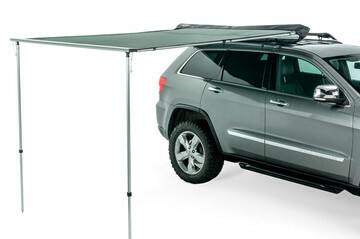 To fit your lifestyle, add different accessories to your van awning to get more out of it. For example, the Thule panels are the perfect solution if you want to create privacy as well as protection from the sun, rain or wind. 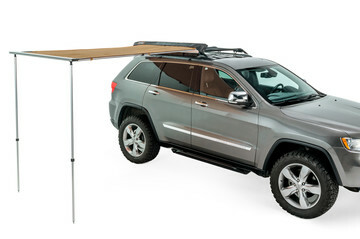 Or how about getting more outdoor living space by adding a Thule awning tent? 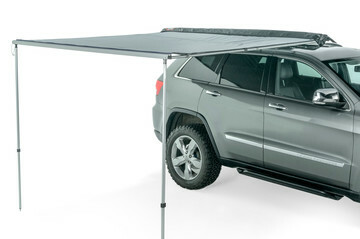 For years, Thule has been voted the best awning brand. 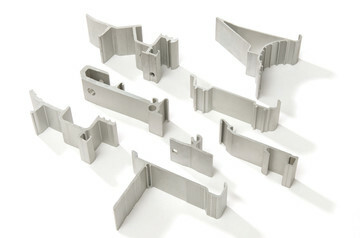 In addition, van manufacturers have helped us develop and then approved our large range of installation brackets and adapters. All Thule awnings are made of sturdy aluminium profiles that guarantee long-lasting safety and reliability. Our campervan awnings are also tested under the toughest conditions to ensure they surpass current standards. Depending on your awning type, you can choose different finishes for your awning fabric. Whatever finish you choose, the top-quality 5-layer PVC fabric is printed on both sides, and coated to keep the fabric colour fixed, watertight, washable and durable. You will also keep cool and safe as the coating even increases UV and heat resistance.